The Mountain of Failiure: a succession game for "noobs"
Re: The Mountain of Failiure: a succession game for "noobs"
NOTE: due to schedule conflicts I'm taking over from Simon_science and will be using the save from the end of Xvareon's turn. Assume the last update didn't happen or think it as a vision from the future. After this turns fill continue as planned. Since this is my first succession game, I'll be experimenting with different narrative styles to see which style fits the best. Please be patient. Urist blinked. What had just happened? He had been admiring something wonderful, something he couldn't quite remember anymore... something whose memory was now fading fast in the face of another reality. Had he been daydreaming? Somehow things didn't seem right anymore. 'Wh... what day is it? No, wait. What year is it?' he mumbled. Things were still a bit blurry but gradually the shape in front of him resolved into Fikod Clubbolt. Fikod, the miner. Yes, now it was all coming back. 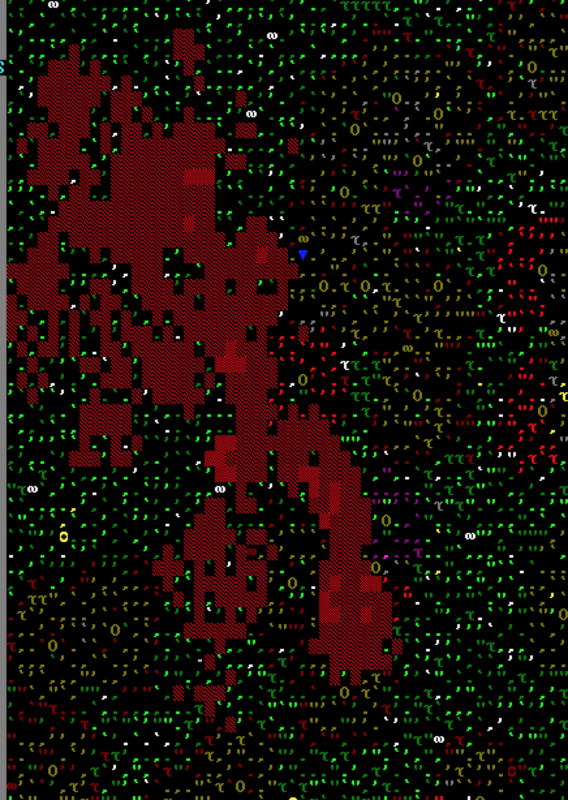 Urist looked around. The surrounding fort, really just a first-year hole-in-the-ground type affair with things piled up where they happened to fit, now looked cramped and primitive. Few tunnels branched deeper into the mountain, into unfinished living spaces. Dwarves moved about their business with extreme care and politeness of very short-tempered beings stuffed into small space with way too many of their kind. Something had to be done, and he felt like he knew exactly what it was. It was like... divine inspiration. He stood up. Passing fort residents stopped and stared. 'Sure were when I checked last time. What have you been drinking... Staalo?' quipped a planter. There was laughter. 'Still only the Mountainhome's finest, Kol. Yes, we are dwarves. Now what do dwarves do? Don't answer. Dwarves build fortresses! Mighty fortresses! Admired by humans, feared by elves and envied by goblins! Dwarves cheered, tools were thrown aside and were almost magically replaced by overflowing mugs of beer. For dwarves any excitement meant an excuse to throw a booze-soaked party, and so Staalo was lifted up by teeming crowd of dwarves and carried to the fort's tiny tavern where patriotic fervor quickly lifted the entire fort like a rocket into upper boozosphere. In the morning, mouth tasting like troll's armpit and most of the last night's memories completely gone, he found out he'd been voted as the fort's new expedition leader, manager, broker and bookkeeper. This was disheartening, but probably couldn't be avoided. Now the hard work would continue. More updates with actual progress to come... soon! So the dwarves of Cobaltearthen got to work. The first thing was to dig deeper into Mountain of Failure so that a great winding spiral ramp could be built. This would allow unobstructed movement between levels for a great number of future fortress dwellers. Where the great spiral ramp ended, a smaller staircase was dug downwards to reach the great cavern systems the dwarves knew would be looming everywhere under the surface of this world. The caverns were unusually deep down in this part of the Continent of Diminishing, and it wasn't until over forty levels under the surface when the miners finally breached the cavern ceiling and saw the water-filled maze opening below them. This would be a place of many riches as well of many dangers, but exploration would have to wait. Once the caverns were breached a wave of warm humid air spread a mass of spores all around the fortress. Moss and fungi would soon grow on every piece of exposed soil, so work began to dig some farms and grazing areas into the soil layer under surface. For some reason a laborer, Rigòth Splatteredhammers, was found to be using a dirty hole just where the planned farms would be as her bedroom. When asked she couldn't quite tell why she had ended up down there but didn't have any objections when offered a bedroom with a real stone floor. After that it took no time at all to dig a nice and ordered space for farms and grazing animals. Since autumn would soon bring the caravan from Mountainhome again, some dwarves got on with making some trade goods to exchange for sorely needed supplies. Reg Balancedvessel whipped up some nice stone crafts out of spare bauxite pebbles, and since there was a surplus of wood, carpenter Ber Diamondfogs fashioned some of those novelty baubles that caravans seem to hold in such high regard. Jladastildus, a kobold thief, had managed to sneak up all the way to the entrance. Luckily it didn't have stomach to cause any trouble, but still its appearance raised an important issue: Cobaltearthen had no militia. This would have to change, starting from the very next group of migrants the fort would have a regular squad training non-stop for the safety of the fort. Soon after the incident, the expected caravan rumbled over the horizon. Trade goods were laid to offer and the newly appointed broker set about haggling for some metal bars, booze, weapons and armor for the new militia and a steel anvil. After many hours it took all the created crafts and three barrels of prepared food to reach an agreement but in the end everyone was left more or less happy about the deal. As usual, the outpost liaison came with the caravan to check the progress of Cobaltearthen. Astesh Mansionangels sat with with the expedition leader for few days and left with a request back home to send some sorely needed leather, weapon-grade metal bars, coal and lye with the next year's caravan. Having a talented weaponsmith and armorer joining in was especially welcome. In addition to that, peasant Solon and woodcrafter Lokum showed some aptitude for soldiering so they were selected to form the fort's first militia squad, The Dominant Guilds. Armed with some odd weapons and clad in whatever pieces the caravan happened to have for sale they started their long road to Legendary warriordom by quietly training in an empty space near the entrance. While autumn went on, food production was bit by bit moved next door to farm area downstairs. Old farms and kitchens were torn down and just as winter rolled over, all cooks and brewers finally got to move to brand new shiny workshop area to do their magic. Annnd that's the first full season (and some bits) done! Any dorfing requests are welcome, all new migrants are listed above. It was winter. Trees were shedding themselves bare on the slopes of Mountain of Failure, and occasionally a crimson cloud of infernal smoke rolled silently over the landscape. While the surface was eerily quiet, busy work continued beneath the surface. One level below the new kitchen complex, digging operations for new workshop and storage area were started. Once this was complete, all the rest of the workshops and stockpiles would be moved there from their temporary locations near the entrance. Winter isn't particularly harsh here on Mountain of Failure and surrounding Murk of Watching. Exactly mid-winter all pools freeze solid very briefly, otherwise only constant rain distinguishes this season from others. To pass time during these boring winter months The Dominant Guilds were sent out to kill few troublesome coyotes. Puny coyotes obviously weren't match for decently armed soldiers, once huffing and wheezing dwarves had managed to catch up with the nimble beasts. After few quick scuffles it was over and the kitchens got plenty of new meat to roast. As the winter rolled uneventfully and inevitable towards spring and new year, work on new workshop level progressed smoothly. As the last days of year five came were counted, the area was almost but not quite complete: some workshops were still waiting for their builders and stockpiles were still empty. This would have to be finished during spring. Calendar passed into year six with little celebration. Cobaltearthen is now home to seventeen brave souls. What new dangers will the new year bring to their lives? Supplies are in good shape and there is no shortage of anything. The fort slowly gathers wealth and population to rise among the great cities on the Continent of Diminishing. As agreed, I will be playing until the end of year six. Spring update coming soon. It was Jladastildus again! She's a persistent little bugger but this time the fort was ready and The Dominant Guilds mobilized to take care of the little pest. Unfortunately the light footed kobold was faster than heavily armored dwarves and managed to escape before getting caught. Dwarves now had a betting ring on when she will appear again and whether she will survive the next visit. At the same time, miners dug ever deeper into earth in search of magma. The fort had a tiny conventional setup for forging, but for serious metalwork magma smelters and forges are essential. Some way downward from the first cavern, miners broke into another vast cavern. This second cavern was truly titanic in size, in some places it was nearly fifty levels deep. From the high vantage point miners could also see a twisty downward passage leading to an even deeper cavern, and a huge deep pit dropping off into darkness. Third cave was again quite a bit deeper and surprisingly looked the most hospitable of the three. Maybe some underground logging and web gathering operations could be set up here in the future. After the third cavern it was only short way down until the rock started to get warm and finally... magma! And something more: pillars of blue metal rising from the sea of molten rock. Adamantine. Stuff of legends. A temporary magma forging and smelting operation was set up here, on top of the magma sea. It would be a very long hauling distance to the main fort, but it would have to do for now. Setting up magma pump stacks or minecart routes would be too daunting for a fort of this size. While the metalworking area was being built, sounds of something huge moving in the first cavern alerted everyone. A great three-eyed eight-legged wombat with sky blue fur and noxious secretions had been attracted by fort noises and was circling around looking for an entrance. Luckily the whole cavern had been sealed earlier. According to lore, this particular monster, a forgotten beast, was named Ino Gognav, The Fin of Impunity. Nothing could be done about the monster, since the fort's militia was still tiny and poorly trained. In any case, soon everyone's attention was diverted to the surface where a large group of migrants were approaching. Arrival of whole families, with children and all, meant that Cobaltearthen already had a reputation of a safe and prosperous settlement. This could only be a sign of good things in the future. Of these new citizens, Mosus and Ùshrir were recruited right away to strengthen The Dominant Guilds, while Lòr and one of the older faces, Ustuth Strengthplank, formed a new archer squad: The Puce Castles. They all set to train in the gradually transforming entrance area. This many people coming in all at once raised a whole new set of problems. There were now 36 dwarves living in Cobaltearthen, over half of them newcomers. New living quarters, dining rooms and meeting areas would be needed, and they would be needed soon. As the spring turned into summer, planning for a large-scale expansion had already started. NOTE: Dwarf Fortress crashed on me halfway through summer, so I had to start again. For laughs I'm using the lost timeline to bring out the "temporally confused Urist" schtick again. 'So what happened to that shield of yours, Sarvesh?' Urist asked. Well, it didn't pay to dwell on it; now there was just even more work to do. Better start cracking. It turned out that bizarrely, underneath the excavated rock in the new tavern area there was a soil floor which immediately started sprouting various subterranean molds and fungi. That wouldn't do: orders were made to start paving the tavern with nice, neat rock floor. Seeing the half complete floor Urist was shocked. 'Uhh... was there any reason why you decided to use bauxite blocks for the flooring? It's very... red.' he finished lamely. Well, what's done was done. It was going to be eyesore but now it couldn't be helped. While the masons worked, Urist thought about other things to do. "Excavation of Pines"... now that name gave him an idea. During the spring there hadn't been any elves around, which meant the dwarves of Cobaltearthen could freely attack the surrounding forest without any whiny treehugger coming to nag them about it. Time to do some "excavating" on the local pines, and maybe other trees as well. Oh yes. While the woodcutters were busy turning a large part of the forest into logs, which in turn would be transformed into beds and bars of charcoal, a Human caravan from northwest Nation of Exaltation was seen in the distance. 'Yes! We have lots and lots of gold, wouldn't you like some? Now shall we trade?' Urist teased, but in the end there was no gold on the table, just various crafts and few barrels of roasts traded for metal bars, farm animals and all the cloth, leather and thread the caravan happened to have. This brought the population up to 44 dwarves. As Dumed and Likot were showing some talent for military work, they were immediately drafted to The Puce Castles and issued some spare crossbows. Now total headcount of the militia was eight regular soldiers. That would be nearly enough for worthwhile defence. Few weeks after the migrant wave, a word came that the new hospital area, alongside with an enlarged temple, was nearing completion just above the entrance level. Getting a hospital naturally brought up the problem of staffing it. And that marked the end of summer. Few last things to finish that season were diggings for a new residential complex, along with few small offices for future managers and bookkeepers. Sorry about the shocking tavern floor, I just happened to have a load of bauxite blocks I had to use somewhere. This fort is blessed with the most unattractive stone types imaginable: bauxite, olivine, serpentine and schist, side by side. Only thing missing are blobs of microcline in between. What? Jladastildus again? That little pest really can't take a hint. Both militia squads scrambled after her, but to no avail; again she slipped away from her lumbering pursuers. Somewhere in the fortress there could be heard both laughter and cursing, as various bets were cashed. A week later approaching traders were again spotted. This would be the eagerly awaited caravan from Mountainhome, bringing in much needed supplies. Odd sortiment of crafts and some barrels highly valued roasts were traded for booze, animals, leather and arms and armor for militia. Outpost liaison got another document requesting even more metals and weapons, since it looked probable Cobaltearthen wouldn't get metal industry to run fully before next autumn. Then one day in mid-autumn, Rigòth Splatteredhammers, the laborer who earlier had been found sleeping in a hole dug in sandy loam, suddenly stood up, dropped the log she had been hauling and just stared face lit by a sudden inspiration. 'I... I see it!' she exclaimed and ran directly to a mason's workshop. She spent next few days feverishly toiling, without stopping to drink or eat, and finally emerged with her priceless artifact. 'DO NOT QUESTION MY ART!!!' She was starting to have a mad gleam in her eyes, so Urist gave up. Very well, if anything, legendary artifacts in the fortress were only a good thing; they increased fortress value and influence and would in time become stuff of actual legends. This would raise the head count up to 47. All would be useful hands in the fortress, but a skilled medical professional was a treasure. Autumn gradually grew colder and passed into winter without further events of note. New residential district, under construction since summer, now housed the majority of dwarves and could easily be expanded more if needed. Now there was even a dining room immediately available for busy dwarves. For Cobaltearthen, nesting in the bosom of Mountain of Failure, future was looking bright. Jladastildus, bolder than ever before, had managed to elude the war dogs guarding the entrance and was now actually inside the fort. But now the war dogs had already been alerted to a hostile presence. As soon as the thief dared to show her face outside, all three dogs slammed into her, a literal wall of bared teeth, claws and hatred. She fought bravely and managed to wound one of them, but the others latched on to her and just shook her apart. One of the dogs gained a name, Tradenet, out of the fight. Militia hadn't had even time to fully realize what was going on. So now the longstanding nemesis of Cobaltearthen, as puny as she was, was finally vanquished. As the betting rings among the dwarves busily calculated their odds and winnings, a feeling of unease settled over the fortress. Now that one enemy was dead, what else would take its place? Was there something worse out there, just waiting to their turn to attack? These questions were in everyone's mind as they continued their daily work. Jladastildus's death brought other problems as well. Dwarves generally react badly on seeing corpses of once-sentient beings lying around, so a disposal method for the dead kobold thief's body was needed quickly. Since the normal method of dumping waste into ever-hungry magma was difficult in Mountain of Failure, an uniquely dwarven contraption, an atom smasher, was constructed. This took quickly care of the unwelcome corpse, and would be an useful tool for garbage management in the future. Wealthsrinse, an iron shield decorated with an image of itself in water buffalo bone. Having a Legendary Armorer in the fort is a great boon for the militia. Now all our brave warriors have a chance of decent protection from any potential enemies. Before anything else of note could happen, winter ended, as did the whole year. Year six brought great rush of development to the fort, even if some areas were left unfinished. Cobaltearthen is now a home for 47 hardy dwarves. Many human mercenaries and entertainers petitioned for residence, but were denied for now. This concludes my turn. It was very quiet in terms of !!FUN! !, other that regular visits from Jladastildus the unlucky kobold thief. This gave me the opportunity to focus fully on building the fort, so now it's a bit farther than I originally expected it to get. A spiral ramp is quite visually impressive. Shame (for pathing) that it directs dwarves to hug the inside corner, though. Rigòth's new stone bedroom might be lower value, going by the ore in the walls. Still, aesthetics. The tale of Jladastildus is nice and neat reminder of defence. A werebeast could just walk in. Shame about the crash. But you endure. The tavern walls would be better as not bauxite, comparing left and right sides. Ah well, it works for now. Bauxite by itself isn't bad, one just has to arrange it well (as keupo shows). Monocolor never works imho. Decent enough hospital for current military size, though shouldn't it include a table? 47 is an odd number of dwarves; what you'd expect after first spring or second summer migrant wave. But the shape is good, it's up to ...TBE, edelveiss and Saladman to continue it. I've lately started trying out ramps instead of staircases so naturally I had to build one here too. I think pathing should not be a serious problem with this design, although dwarves have to take few extra steps when reaching their destination level. Rigoth's bedroom thing was just a sort-of-funny joke since it just happened to be where I wanted to dig the farming area. I still have no idea why a bedroom was built there. Hospital has a table for each of the separate patient rooms; the rooms are still missing traction benches, though. There are also short corridors for walling patients to their rooms in case of a were outbreak. Yes, the whole entrance area is still bit of a mess at the moment. Maybe TBE has a vision to make it better. Staalo seemed a bit too keen to pass the fort on to me. I don't think he's cut out too run a fort. Not focused enough. Too idealistic. Its time to make some changes around here. To start with, the magma forges are deep underground. More time is spent hauling stuff up and down the stairs than actually forging. I've ordered the miners to start digging, but little progress has been made. We've got a petition from some performers who want to join our civilisation. I've let some in to keep the workers happy, but I don't expect them to do much but drain our booze. A cloud of infernal smoke has appeared on the other side of the stream. It's rather large, but shows no signs of coming our way. The miners have caused a cave in, with one injuring their hand. I've had a good shout at them for carelessness and set them back to work. Edzul Nishâmid has claimed a glass furnace and started muttering. She refuses to leave and won't let anyone near her. I order her walled in before she goes completely mad and starts causing trouble. More petitions from performers are coming in, which I reject out of hand. A few monster hunters and a soldier have also submitted petitions. I accepted them, on the basis that more military is never a bad thing. Spring is over with minimal progress from the miners. I'm disappointed in them quite frankly. Since there is sand to make raw green glass, what did Edzul demand anyway? I'd check the ramps around miners. And maybe place a food/drink stockpiles and a table+chair down there. @Staalo: Mm. I think traffic designations making one-way paths can improve on this, though descending straightway removes the problem entirely, as do S-shapes (which I use for curved needs). And yeah, confused table with bench. I'll have another look but I can't find any sand. I had to reload the fort again to see... hoo boy. There's sandy loam, loamy sand and sandy clay loam in the visible soil layers, none of which is usable as a sand source. This is a rare map in more than one way.